Barrenjoey High School is turning 50 this year and is very proud of it! All Ex-students, staff, parents and members of the Barrenjoey community are invited to celebrate. There will be a Three-course meal, the event will be fully licensed, with live bands, a memorabilia exhibition, and much more. Dress: Women: Elegant Men: Dashing! The Barrenjoey High School that opened in 1968 was a little under a hundred years prior to that a school of a similar name commenced atop the headland so many BHS students love. A few notes to get you in a golden mood - no, there will not be an exam on this - enjoy ! The Council of Education was established from 1 January 1867 under the Public Schools Act of 1866 to assume responsibility for the centralised administration of government schools in New South Wales. The Council of Education controlled expenditure and government grants, the establishment and maintenance of public schools and the appointment, training and examination of teachers. Both provisional schools and half-time schools were created under the Council of Education. The school sites, buildings and furniture for these schools were provided by the parents of enrolled pupils. In 1880 the Minister for Public Instruction assumed responsibility for education in New South Wales. The Public Instruction Act, 1880 provided for the establishment of Public Schools, Superior Public Schools, Evening Public Schools, Provisional Schools and separate high schools for boys and girls. The Department of Public Instruction was responsible for both the introduction of compulsory education and the withdrawal of government funding from denominational schools. A Provisional School could be established in areas where at least 15 children, but fewer than the 25 required for a Public School, could be expected to attend. Parents provided the building and furniture, while the Council of Education or later the Department of Education paid the teacher and supplied books and equipment. During the 1880s the minimum number of children required was reduced to 12; from 1898 the minimum was 10, and from 1945 it was nine. After 1882 there were provisions for the Department to provide all or part of the cost of buildings, but well into the twentieth century parents often met most of the cost. The schools were generally staffed by untrained teachers or by teachers of the lowest classification. The ‘Public Instruction Act' of 1880, comes into operation on 1st May, 1880. Following are its principal provisions .— The Public Schools Act of 1866, under which bur present system of public schools were established is repealed, and the Council of Education abolished. All votes are to be expended by the Minister, and all officers to be appointed and removed by the Governor. Five classes of schools are to be established and maintained, namely (1) public schools as now carried on, (2) superior public schools, (4) high schools for boys, to prepare students for tho University, and (5) high schools for girls. Teaching shall be non-sectarian, but the words 'secular instruction' shall beheld to include general religious teaching as distinguished from dogmatical and polemical theology, and lessons in the history of England and in the history of Australia shall form part of the course of secular instruction. Evening schools may be established at the request of at least ten persons. Fees— 3d per child per week up to four of one family ; 1s. per family of four or over; to be paid to the teacher or other authorised receiver, and may be recovered summarilly. Fees are not to be enforced where parents and guardians are unable to pay. Free railway passes will be granted to school children. Four hours per day are set apart tor secular instruction, and not more than one hour for religious instructions by clergymen or other religious teachers, but no pupil shall be required to receive any general or special religious instruction if : the parents or guardians object. After the expiration of three months from the passing of the act it will be obligatory upon parents to send children between six and fourteen years of age to school for a period of not less than seventy days in each half year, unless the children are being instructed regularly and efficiently in some other manner, or unless there is no school within two miles. Penalty for non-compliance with this section. — 5s for the first offence, and 20s for every succeeding offence, the alternative being imprisonment for a term not exceeding seven days. Albert Thomas Black and wife Kate had several children while he was Coast waiter in charge of the Broken Bay Customs Station at Barrenjoey. The Mullhulls also were blessed prodigiously with children, while those employed as keepers or as Boatmen for the Customs Station, to 'man' the lifeboats during emergencies, were not opposed to the sound of little feet and joyous laughter either. To educate their six children, four of whom were born at Barrenjoey (two sons and two daughters) Albert and Kate Black employed a tutor, Patrick Hynes. In Tales from Barrenjoey. Jervis Sparks. 1992, pages 91 - 109 Jervis relates that Patrick Hynes was sixty-one years old when he started working for the Blacks. Irish born and a widower, he was later appointed as a teacher, after Mr Black and his boatmen, John Connolly and Michael Madden, wrote to the authorities requesting aid to set up a school. Michael and his wife had several children - a Thomas, Patrick, Michael, John and James are listed in the Funeral Notice when he passes away, at Manly, in February 1897. A devout Catholic family, one daughter joined the sisterhood - see the Obituary for this gentleman below. The residents submitted Hynes' name as a teacher, and proposed to one of the boatmen's cottages, a few hundred metres south on the dunes, as the school. The S.S. Alchymist left Sydney for Brisbane Waters every day at 8.00 am. In May 1872, that ship brought Patrick Hynes school supplies, such as Scripture Lessons, a 'Second Book of Lessons', with two sequels, the 'Third Book of Lessons', Australian Classbook, Framed Slates (blackboards for little hands and the precursor of exercise books to write with pencil or ink in), a Box of 'Slate Pencils', school pens and ink powders. Mr Hynes was not at Barrenjoey for very long, but lived for a further 8 years before passing away. On October 2, Charles Palmer replaced Patrick Hynes as teacher at the first provisional school, which had been repaired by Albert Black and had a new floor, chimney, etc. There were 24 students attending the school, eight of whom came from the Customs Station. Mr Palmer was paid £ 4 a month, and there is a letter in which he bemoans a lost October salary cheque, and stating that the school was about a mile from the Barranjoey Post Office. On October 19, Mr Black, his boatman Frank (Francis) Collins, and the 'Father of Pittwater, John Collins, applied for a provisional school at a building on Collins' property at Careel Bay. John Collins had many children too! The building was wooden with a school room of 20 feet x 13 feet. There were three extra rooms for accommodating a teacher, and it was roofed with Hobart Town palings. Eight people signed a declaration claiming there were 30 would-be pupils - 18 boys and 12 girls. Jervis's Tales From Barrenjoey, researched in the Council of Education School files (Barrenjoey, 1/896, 5/14813.3 A.O.N.S.W. ), found that on January 23, 1878, a John Ryan was appointed in charge of this new provisional school. Mr Ryan contributed to the children coming into Barrenjoey, his daughter being born in 1880. A report below describes Careel Bay as 'Brighton' and not too healthy for a new born. What is also quite interesting regarding Mr Ryan is that he was married to a Margaret Hynes in 1875, a lady who 'sponsored' the arrival of an Immigrant, arriving on the Jerusalem in April 1875 under the Immigration Regulations of 1873. Margaret sponsored an 'Edward Ryan, while in the list beside Edward, and sponsored by Ellen Ryan is a 'Michael' - the two travelling together. The 'single females per Jerusalem who were prepared to 'join their friends' could do so from 'The Depot, Hyde Park'. There's more on the 'New Immigration Regulations' of 1873 in the full text of this assisted transportation scheme away from overcrowded Ireland, Scotland and England below and an insight into Irish, Scottish and English women who came here with few or no friends, and were placed at Hyde Park, in From Beneath the Floorboards. Pittwater estate belonged to the late Very Rev. Archpriest Therry, who bequeathed it to the Society of Jesus. It is surrounded on all sides save one by water; and it has been highly praised for its salubrity. It has a Catholic church, at which the Rev. Dr. Hallinan officiates once a month; it has also a Provisional school, attended by some twenty children. There is an incipient town called Brighton at Careel Bay, north-west of Barranjoee. The site is eminently unsuited for a township, and the sooner it is abandoned the better. A low swampy beach from which the water recedes at ebb tide, is not well adapted for settling on. A better site is that on the harbour higher up at Long Beach, where there is ‘ample room and verge ' enough, besides a moderately elevated coast and deep water. West Carbery, as we christened the place, is the site for a township. Obituary MRS. J. DORAHY. In last Issue was reported the death of Mrs Anastasia Ellen Dorahy, wife of Mr J. Dorahy, "Marlwood," Mulgo Road, Penrith. Deceased was a well known identity, having spent practically the whole of her life in the district. 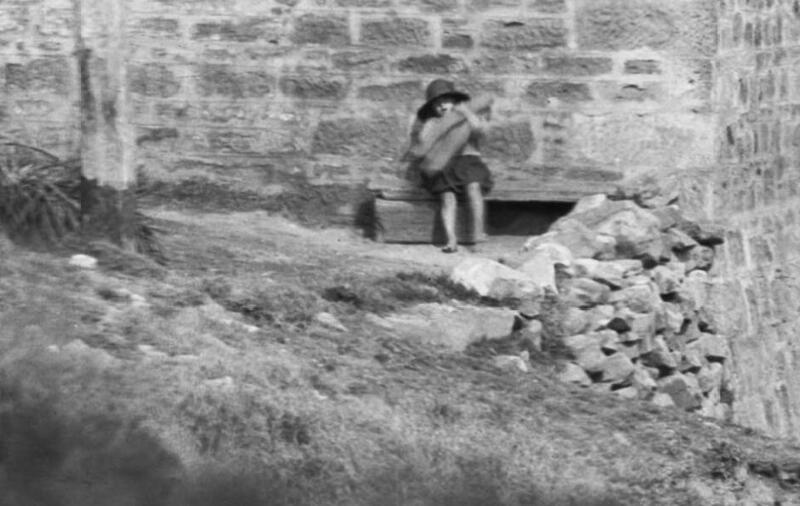 Mrs Dorahy was the daughter of John Ryan, a school teacher, and was born at Barrenjoey 63 years ago. Two of her sisters are still living, one at Sydney and one at Brisbane. When she was only 4 ½ years of age deceased's father was transferred to Bringelly, and then on to Werombi. She was married at St. Nicholas' church, Penrith, 40 years ago, by Rev. Fr. Barlow, of Kincumber, to James Dorahy, of "Charleville," Wallacia. Their early married life was spent at Wallacia and they subsequently purchased "Marlwood," Penrith, where the family has resided for the past 22 years. The other part of this is of course this was the Construction of Barrenjoey time - a building site is never a safe place for children. Jervis' states that by July 1881, widow Honora Collins wished to claim back rent at £12 per annum for having the 'school' on their property. The Departmental replied that as the late Mr Collins had never asked for rent, the widow had no claim to ask for rent either, and furthermore, no rent was ever paid for provisional school premises. More problems were brought to bear on that little school when Mr. Ryan, was reprimanded for closing the school for three weeks during August and September. Ryan claimed that he had closed the school at the request of the parents. It had been decided that due to wet weather and bad roads, it was better for the children to stay at home rather than run the danger of getting sick of school in wet clothes. The Inspector counter-claimed that the children had just not wanted to go to school, and that the parents had not urged them to do so. The penalty was that Ryan was docked three weeks pay - he was being paid £ 7/10/- monthly. Mrs. Collins struck back at the Department by telling the hapless Ryan to quit the school's premises by February 1, 1882. As a result, the school was moved back over Observation Point, to the old lighthouse keepers' quarters. 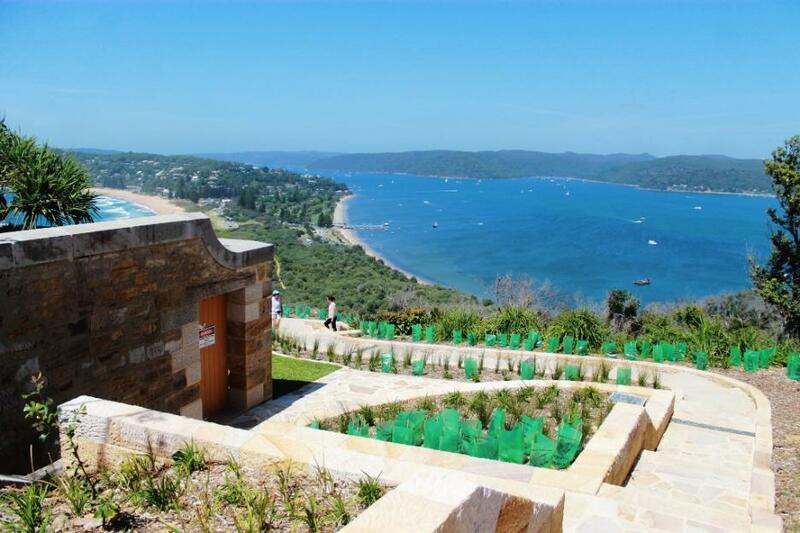 Tales from Barrenjoey relates that the current third tee of the Palm Beach Golf Course marks this location. 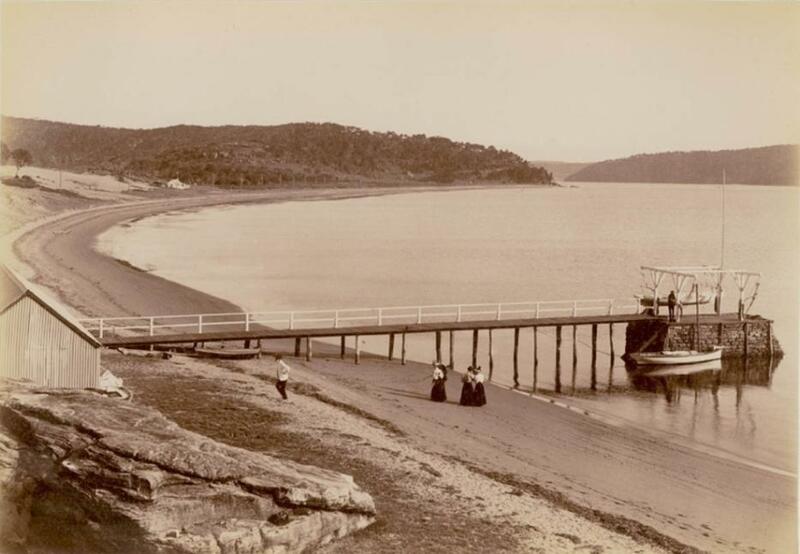 The move caused complaints from the residents of Careel Bay that their children would be deprived of the means of education - Barrenjoey was going to be more than two miles away, outside the 'new' as outlined in the 1880 Education Act by the Department of Public Instruction. The Chief Inspector responded that as there were only ten child involved, they could easily attend the school at Barranjoey. The eleven children from the lighthouse and Customs Station would have a school on their doorstep and a shorter distance for the seven children from the Basin to row. The lighthouse children did not like the school and did attend. Teacher Ryan wrote to J.H. Murray, the Inspector at Parramatta, that he had written to the lightkeepers about not sending their children to school. Writing to someone who lives just over the hill, clearly someone else, 'the mail route' tenderer, was delivering these messages. Tales from Barrenjoey states 'George Mulhall, the first assistant lightkeeper, hadn't been sending his boy (8 years 9 months, December 1882) to the school, and deigned not to reply. William James Steere, the other assistant keeper, did respond, stating '...my children are being regularly and efficiently instructed at home up to the standard of education required'. His postscript stated that he had four children between the ages of six and fourteen. Clearly The Sydney Mail and New South Wales Advertiser didn't get to Barrenjoey all that often, even with steamers and visitors and a mail service. On October 20, 1884 of the replacement teacher Samuel Turtle, his wife Margaret, and son Henry James Mulholland arrived. Their copperplate signatures are in the Barrenjoey visitors' book. The keepers and Coast Waiters were occupied with the new school to be built at Sandy Point. THE NAVAL VOLUNTEER ARTILLERY. H.M.C.S. WOLVERENE, BARRENJOEY. HMCS Wolverene: cutlass drill, 1882, courtesy State Library of NSW. 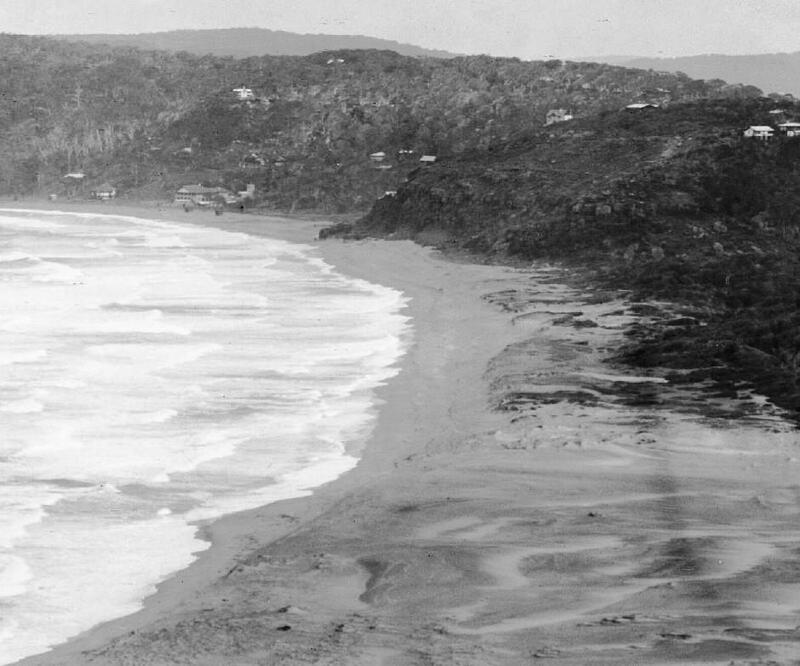 The Inspector's report of April 25, 1885, described the two acre site for the new school as commencing at a telegraph pole marked X, 22 chains (442 metres) from the grave on Chinaman's beach (Snapperman Beach) along the road to Careel Bay. As this was part of the Bassett Darley Estate, a price of £ 25 per acre with a frontage to the water, was deemed ample value for the land. In December, the land was officially resumed, and a building was constructed by Mr F. Collins at a cost of £180. This next schoolhouse measured 36 feet x 20 feet x 10 feet high, and it was made of hardwood timber, with a galvanised corrugated iron roof. Jervis' research shows this building was opened, officially, on January 25th, 1886: so something else must be getting 'worked' on in the area - as fishermen, or roads that drew these men to the same area just weeks later. This school officially opened on January 25, 1886. Tales from Barrenjoey states the following school furniture was forwarded per the S.S. Marramarra in the care of Mr A. Black; 4 Desks, 9 feet long, 4 Forms, 9 feet long (chairs for our younger readers - these were a long bench like those in the picture below) 1	Book-press, 4 feet x 3 feet x 18 inches deep Table, 3 feet x 2 feet, with two drawers, Bentwood chair and 24	American School-House hat pegs, No 92, on batten. 'The School room' - 1898 - aboard the Sobraon (ship)Iamge No. : d1_12601, courtesy State Library of NSW, the Mitchell Library. A feud soon developed between the lighthouse keepers and the family of the new Teacher, Mr. Turtles. Samuel Turtle wrote to the Department on January 14, 1885, informing them that none of the children from the lighthouse or Customs Station had been expelled. A memorandum was subsequently sent to the District Inspector, W. McIntyre by the Chief Inspector, J. Maynard on December 19, detailing James Steere's complaint against the teacher's wife, alleging that Mrs Turtle had told his daughter Mary that `if she came to school again, it would be the worst for her'. She had also called her daughter a `villain' in front of the other school children. Mr Steere complained that his request for an explanation was treated with contempt. ... that Mary is an active, intelligent, young girl, nearly 15 years of age, and attended school until October last. Mrs Turtle states that this girl's conduct was often unbecoming, and sometimes immodest. She would play rudely, sit on the playground with her clothes above her knees, and was very fond of talking to the Master at playtime. The Master states that he did not see any misconduct on the girl's part, and it appears that Mrs Turtle is jealous of this girl, imagines she is bad, and too old to attend school. The memo concluded with the recommendation that Mrs Turtle be censured, and that Mr Steere be informed that his daughter be returned to school, as Mrs Turtle has been cautioned not to interfere with her. Mr Steere added that he had pulled the rest of his children out of school on January 22. Inspector Sharp replied by telegram, threatening prosecution if Mr Steere did not return his children to school. Mr Steere that he would rather be fined. Furthermore, he wrote that ' things ought to be different when compulsory education is the law of the land ... Sir, if you only knew the truth, I am confident you would commend me for not sending my children to Barranjoey School'. Compulsory school attendance had started in 1880. Mr Steere backed down, and on August 10, 1886, sent a telegram to the Education Department minister, saying that his children would return to school following Monday. The problems continued though with the children of the lighthouse allegedly physically attacking the Turtles son and Mrs. Turtle retaliating and Mr Steere taking his children out of the school once more, stating his six year iold had been beaten by Mrs. Turtle. This spat ended when the Department, protecting their own, agreed with the actions the Turtles. Under the date, 28.12.86 and signature, the Under Secretary added the postscript `I concur'. The Departmental Inspector's letter to his chief agreed with the above letter, stating that the Steere children were in the habit of beating other children. Hence, the action taken by Mrs Turtle was necessary. May 28, 1889: Closed the school as his children were sick. July 1889: The school building was much injured by white ants. The damage done was repaired by carpenter J. Booth for £ 6/151- December 27,1889: Mrs Stevens commenced giving sewing classes. February 1891: The school buildings were very dilapidated, especially the living quarters. Two of the children had to sleep in a school-room. Mrs Stevens refused to pass another year at the school because the cold and draughts were giving the family bad health. August 31, 1891: Mrs Steven's daughter, the senior girl at school, took over giving the sewing lessons. February 1892: Mrs Stevens has been away ill for many months. Following letters concerned the ill health of the couple, with requests for transfers. The Department finally took heed of these pleas. A memorandum of May 3, 1992 described the route a teacher should have to take to reach Barranjoey. `By coach from Manly, leaving about 10 AM each day, reaching Newport about 12. Thence by boat or horseback 7 miles to Barranjoey'. The suggested cost was about £ 1/5/- per person. On May 16, Arthur Day was instructed to ‘test' the school at Barranjoey as a temporary teacher. He went on May 20. By January 1893, the termites had again damaged the school and Mr Day complained. The Chief Inspector was loath to incur more repair costs so suggested that a drum of ‘ant exterminator be used with a syringe, and to follow the directions carefully'. A new feud erupted on August 18 over the Customs Station children, when Mr Day wrote letters reporting the suspension of John F. Madden, 16 years old, for rudeness, and also that he had reproved one of John's sisters. In November, Mr Day contacted the Department with a request for his own `removal' from the school. Frank Eckman, Customs station boatman, was another Barranjoey resident who removed his children from the school. Letters of December 5 gave the main reason as teacher neglect, claiming that Mr Day often sent the children home early, once even before 11 am. Furthermore, he had repeatedly insulted the children, saying he would rather teach 'a lot of blacks' and doubted whether they were teachable as they were `like machines’,. Mr. Eckman added '...he has spoken in a very insulting manner of the Catholic Religion, and as my children are young it might make an impression on them', and he also accused Mr Day of reading in hours. Mr Day countered. He admitted having used the word ‘machine', but claimed that the Eckman children (aged 9 and 7) would have been too young to understand the phrase. He replied that the religious issue had been dealt with previously as a result of a complaint from Mrs Madden. He also cited a history lesson which had been given to the class, but which had not been attended by the young Eckmans. He wrote that he had not neglected the school children, and quoted a favourable extract from the school visitors' book which had been written by Mr F. Smith, an ex-Mayor of North Sydney. Mr Day explained that his reading in school was either mail or school notes, although he may have been studying to further himself, as indicated above. The strong religious convictions of some of the parents of the children who attended the Barranjoey school, can be derived from Michael Madden's Obituary, published on March 16, 1894 - these kinds of Notices and 'In Memorium' s appear years after the loss of a loved one. In part this stems from Catholic traditions of Prayers for The Repose of the Soul. The Barrenjoey community, what can be inkled through their threads, stuck together though - many, like the teachers sent, had escaped from Ireland and a dim future, or were one generation later from those who had - they probably didn't like 'authority figures' -especially ones sent out by a 'Public Instruction' Department - it just reeks of and conjures up Pink Floyd's 'The Wall' as soon as you hear that name. There are records of John Collins collecting money to send back to Ireland to support those railing against the desecration of their faith, their ways of life, their land, their language - their everything. These were salt air and salt water people, of the earth, most probably acutely aware of a class system and what was even then white collar/blue collar who hadn't been able to gain any education other than seeking knowledge. Many of the earlier teachers, as outlined through the NSW State records, were very young to be telling others what to do too - probably not the best approach for people wise beyond their years who 'got on with it' when they had to rescue those in peril at sea. It would also be reasonable to realise that people who have to attend to the dying or deceased, as part of their work and regularly, certainly have a keener sense of how precious their own lives and the lives of others are - how could they not? DEATH OF MR. MICHAEL MADDEN. Bureaucracy triumphed again when the Chief Inspector wrote over both letters that the teacher's explanation was to be accepted. The days of the last school at Barranjoey and its teacher were numbered. On February 2, 1894, a statement was put out that although the enrolment was 8 students, attendance was an average of 6, and likely to decrease. 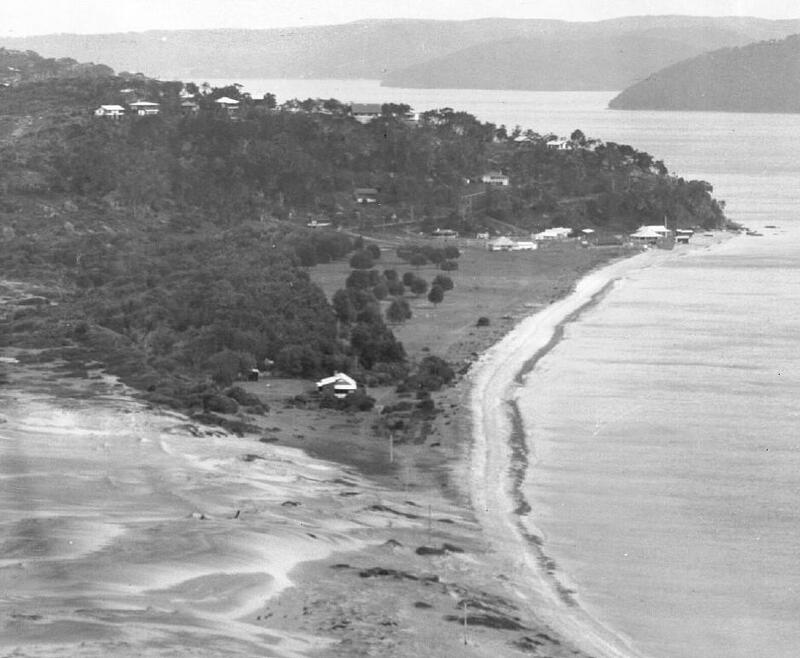 An idea to start a school at Wilson's Beach (Currawong) on the opposite shore of Pitt Water, was deemed inadvisable because there were too few pupils, no school room available, and the residents had manifested no desire to provide or help to provide one. The cost to the Department to construct one would be £32, and there boat approach only. On February 14, 1894, the Under Secretary agreed to close the Barranjoey school, and a week later, Mr Day was on his way to Wallambuie Provisional School. James Booth purchased the school house, dismantled and removed it, filled in all the holes, and sent the Education Department a cheque for £ 9 for the salvaged material. The nearest school was now at Newport, which those of school age either walked or rowed to. Finally, on August 1, 1898, Frank Eckman, Isaac Newman (keeper), Lizzie Smith (William Smith's wife) and Nancy Mulford (wife of Mackerel Beach orchardist) proposed that Miss A Madigan be appointed as an itinerant teacher. The school would be located in a room in Lizzie's cottage and Miss Madigan would be accommodated at the Eckmans's home for 15 shillings per week. She had been instructing the children there for 2 years, presumably as a tutor. On December 22, 1898, the Acting Inspector visited the lighthouse and the Customs Station, with the view of establishing a school. This was vetoed due to the lack of school age children and the rough crossing of Pitt Water in bad weather. In 1899 applications by residents of Barranjoey and Careel Bay were again refused, for the same reasons. The children continued were without the required Teacher until a proposal to use launch to transport them to school allowed Bill Sykes to tender a offer, eventually won the contract, and started the first school launch service in Australia in April 1904. For the first four months he always kept to schedule, despite rough weather. The Patonga was a thirty foot motor launch with a beam of eight feet and powered by an 8 hp Hercules engine. 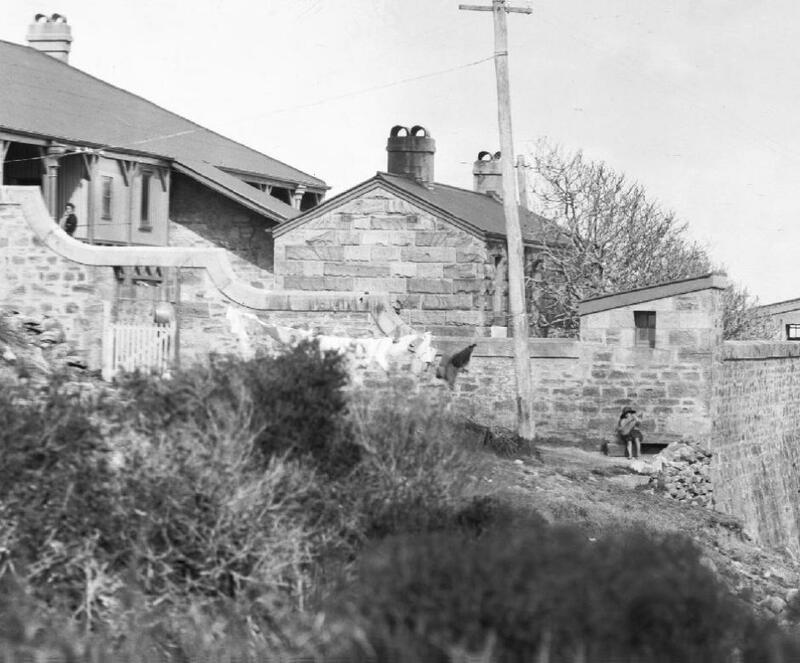 James Booth, a jack-of-all-trades (he built a cairn, since destroyed, on Barranjoey Headland to mark an original lighthouse site), was always interested in the Palm Beach school land. On September 28, 1898, he unsuccessfully applied to rent the two acres, offering £ 2/ 12/- per year. He tried again on March 29, 1917, that time for only One acre at 2/6d a week. In his application to start a small boat hire business, he promised not to `put up any unsightly buildings'. Despite this remarkable environmental impact statement for that time, The Education Department still refused his application, advising that the land had been transferred to the Barrenjoey Company and later to what became the Palm Beach Land company. Today, there is still a portion of that land, Iluka Park, which has been retained forever, as a recreational area for the public, thanks to Warringah Shire Council, and its 1920's program of acquiring reserves and access to water for people, insisting the company hand over part of the land for a park. This was the site of the old school. 5. Palm Beach Lands Ltd. re proposed subdivision of "Old School Site" in Barrenjoey Road Resolved(Crs. Hitchcock, Simpson) - That the plan be approved, and the necessary action be taken to secure the dedication of the 2-ft. reserve at the end of Iluka Road, the Seal to be affixed to the plan when this matter is finalised. 5. Palm Beach Lands Ltd. re proposed subdivision of "Old School Site" in Barrenjoey Road Resolved(Crs. Hitchcock, Simpson) - That the plan be approved, and the necessary action be taken to secure the dedication of the 2-ft. reserve at the end of Iluka Road, the Seal to be affixed to the plan when this matter is finalised. Tales from Barrenjoey. Jervis Sparks. is in the process of being digitised for an E-Book edition we hope to have ready later this year - all permissions granted, Jervis happy with it etc. - Stay Tuned! COLLINS’S— In loving remembrance), of John Collins, of Pittwater, who died 21st May 1881. Jesus have mercy on his soul. ' Inserted by his loving wife. THE FRIENDS of Mr. WILLIAM HERSEE, of Barranjoey, are kindly invited to attend the Funeral of his late beloved MOTHER-IN-LAW, Helen Horan ; to move from her late residence, No. 57 Mullins-street, Balmain, TO-MORROW (Sunday) AFTERNOON, at 3 o'clock, for Balmain R. C. Cemetery. WOOD and CO. THE FRIENDS of Mr. EDWARD DOYLE are kindly invited to attend the Funeral of his late beloved MOTHER-IN-LAW, Helen Horan ; to move from No. 57 Mullins-street, Bulmain, TO-MORROW (Sunday) AFTERNOON, at 3 o'clock, for Balmain Roman Catholic Cemetery. WOOD and COMPANY, Undertakers, Sydney. THE following are the proposed immigration regulations, under the "Funded Stock Act of 1873." Thesum voted by the Assembly is L50.000. 1. All immigrants shall be selected by the Agent-General, or by such persons as he may appoint for the purpose, under instructions from the Colonial Secretary, which instructions shall not be contrary to these regulations. 2. The selection of immigrants shall be limited to such persons us can pay one-third of the cost of the passage to the colony (in the case of families, both for adults and children), and shall be made from the populations of England, Scotland, and Ireland (with the exception mentioned in clause 5), in such manner us shall prevent an undue preponderance from the population of any one of the three Kingdoms, according to the latest census returns of New South Wales. 3. All immigrants must be of sound, mental, and bodily health, and of good moral character, and shall consist either i of married couples not exceeding thirty-five years of age (with or without, children), or of unmarried women, not exceeding thirty years of age ; and shall be selected from the classes of mechanics, farmers, miners, vine-dressers, labourers, and domestic servants, with a special view to the industrial callings of the colony, not excluding small working capitalists in any branch of colonial industry. 4. The proportion of unmarried women shall not exceed 20 per cent, of the whole number of immigrants. 5.- A proportion of the immigrants, not exceeding 10 per cent, of tile whole, may be Germans, who shall answer to the physical moral, and industrial descriptions embodied in these regulations. 6. The immigrants must be brought out in ships chartered for that-purpose by the Agent-General on behalf of New South Wales, and under such regulations as he may make and prescribe for their moral und sanitary condition during the passage. 7. No advantage will be allowed in respect of any person brought out as a cabin or intermediate cabin passengers. 8. All deposits of money on account of the passages of immigrants shall be paid to the Agent-General, and shall be accounted for by him on behalf of the Government of New South Wales. 9. Persons resident in the colony who may desire to introduce immigrants in accordance with these regulations shall be entitled to remit to the Agent-General the necessary sum or sums, and to nominate such immigrants on application to the Colonial Treasurer; but in all such cases the Agent General shall exercise the same authority of selection as to age, health, character, and general fitness us in cases where no such nomination is made. 10. In the event of any person or persons nominated in the colony for a passage declining to emigrate, or not being able to comply with the conditions required by these regulations, or in case the amount deposited shall exceed that required for the number of immigrants actually introduced, the amount deposited, or the amount in excess, as the case may be, will be returned to the depositor, upon the receipt, in the colony of the Agent-General's report recommending its repayment. 11. No money paid by persons resident within the three kingdoms on account of any passage or passages will be returned, should the person or persons making such payment not avail himself or themselves of the passage or passages so provided ; but the Agent-General, in cases where circumstances satisfactorily explained may prevent embarkation on , the ship first arranged for, may authorise a passage or pass ages by the next succeeding ship. 12. Married couples and children shall be entitled to remain on board seven clear days after tho ship drops anchor in Port Jackson. 13. Unmarried women shall be received into an immigrant's home in Sydney, and shall, be allowed twenty'-one clear days to enable them to obtain suitable employment. With the death of Mr James Dorahy, of Marlwood, Mulgoa Road, Penrith, in Nepean District Hospital, on November 27, the district lost a very estimable citizen, well known in the district in which he spent many years. Mr Dorahy was born at Greendale 73 years ago, and was the son of Patrick and Bridget Dorahy. As a young man he left Greendale and took up duty as an attendant at a public hospital near Sydney. He took to farming at Wallacla about 1901, and about that time was married to Anastasia Ellen Ryan in St. Nicholas' Church, Penrith. Mr Dorahy had a very trying time during the drought of 1903, but, despite this he carried on his farm suc cessfully. Later he left Wallacia and purchased "Marlwood," a property between, Mulgoa and Penrith. For a few years Mr Dorahy was a director of the Nepean Co-op. Dairy Society. Most of his time was spent on his farm, in which he took a great interest. He was an energetic man. His wife predeceased him in September, 1943. He leaves a grown-up family of four sons and three daughters, viz. : Joseph Stasia . (Mrs P. Collins), Margaret (Mrs R. Redwin), James, Beatrice, Vincent, and John. Another daughter, Phyllis, predeceased him. Mr Dorahy was a devout Catholic, and was attended by Father Heffernan and Father Rellly in his last Illness. Incidents in and around Barrenjoey During these early school years - perhaps not such a lonely place? Peate's Ferry and Part of the Hawkesbury. Yachting in Victoria has made rapid strides within the past few years, and the Victoria Yacht Club numbers amongst its members several wealthy gentlemen,- who, imbued with a love of the amusement, have obtained vessels that would be a credit to any yacht club in the world. Prominent amongst the vessels to which we allude is the celebrated Red Gauntlet, a yacht owned by Messrs. C. and E. Millar, the elder of whom is commodore of the club. The Red Gauntlet was built at Lymington by Mr. Inman, a celebrated yacht builder, to the order of Mr. Haig, an English gentleman, who subsequently sold her to Mr. Langtry, the husband of the lady known in English society as the Jersey Lily. The yacht eventually fell into the hands of a Mr. Balfour,' who brought her out to the colony, and, he dying in Sydney, she fell into the hands of her present owners. The yacht is 148 tons register, her dimensions being 101 feet over all and 19 feet beam. She is rigged as a fore-and-aft schooner, and is a beautiful model, her lines being exceptionally fine, and she is a very fast vessel in a good breeze. The yacht is kept in beautiful order, and the visitor on stepping on board is struck by the neat appearance of everything on deck. Her cabin accommodation, though necessarily limited, is most complete, and the fittings are the perfection of good taste, and she is just what a gentleman's yacht should be. BUSH SCHOOLS. A SPECIAL SYSTEM.' FOR THE BUSH. SIXTEEN YEARS BUSH TEACHING. The Race Between tlie 'Waitangi and Electra. Sir, — I have just read in this week's issue of your paper the amusing and well-written article headed 'Sailing Notes,' by the Ancient Mariner. The yarns spun by the worthy old salt, though somewhat tough, are usually very agreeable to his readers, and must no doubt afford him as great pleasure in their concoction as we derive from their perusal. In this article is an account of the race which took place on the 13th instant under the auspices of the P. A. Y. C., between the Waitangi and the Electra. It abounds in happy nautical allusions and pleasant descriptions, yet it has one fault — the greater portion is incorrect, and one egregious ems' is present, which causes me to write this note. For some time past a race has been talked of between some of the crack yachts on an outside course, which came to an issue on Saturday. The owners of the clippers Electra, Waitanga, and Sao making a sweepstakes of .£10 each.The course arranged was from Neutral Bay round boat off Barrenjoey, and back to Fort Macquarie (some 40 odd miles); and so that they should start on an equal footing it was arranged to use pleasure sails, The Sao received 60min. time allowance. The day chosen was yesterday; and better weather could hardly have had been if ordered, a pleasant N.E. wind prevailing at the start which increased slightly as the day wore on. This suited the boats admirably, giving plenty of opportunity for smart handling. The s.s. Albatross was chartered to follow the race, and left the Circular Quay at 10.20 with some 30 passengers. On arrival at Neutral Bay, the Sao and Wait angi were in waiting, while the Electra was seen coming past Pinchgut. On her arrival they were not kept long in waiting, and at 12 minutes to 11 a.m. were dispatched to a fair start, Electra being first across the line, Waitangi following five seconds later, while Sao, who was in the wrong stretch when signal to start was given, and in consequence had to put in stays, followed 1min. 50sec. after. All carried jib-headed topsail, drawing well, and they presented a very pretty sight. It was seen that while the Electra was sailing well and lively, the Waitangi was more like a log in the water, but the little Sao was like a kitten, so freely did she move. She soon began to draw on Waitangi, and the latter's topsail sheet carrying away under Bradley's, the former passed her. The Electra was going in grand style, and stood right across to eastern shore, and the Sao and Waitangi, being unable to clear the reef at Shark Island, made a short stretch to about centre of harbour; here the Waitangi crew managed to get the stray sheet right. The Electra and Sao had now got a very fair lead, all the boats working eastern shores, and standing in towards Bottle and Glass. The Electra getting an easterly fluke, went close under South Head, but the others being less fortunate had to make a stretch into the centre of tide, which went against them. The Waitangi was sailing badly, as on every stretch the Sao got further away. The Electra stood to about centre of the Heads, then made a tack seawards. The Sao stood still further on, and the Waitangi, profiting by the mistake, stood well over to Old Man's Hat, and on going about stood well under North Head when she was crossed by Electra and Sao. The former stood close into North Head, while the latter who had stood further on than Electra lost stretch, and stood on to Honeycomb Rock. The Barrenjoey School 1872 to 1894 - threads collected and collated by A J Guesdon, 2016.